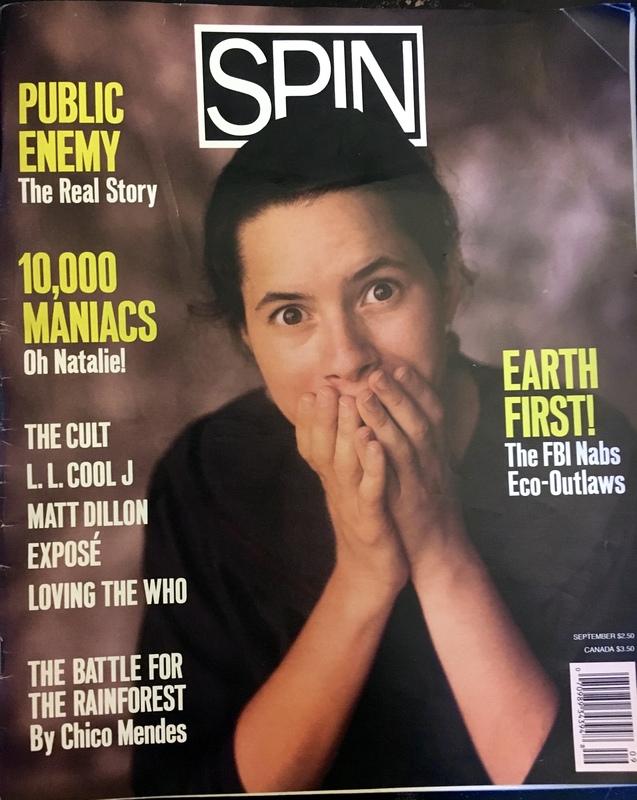 Spin magazine began life in the mid ‘80s basically as a more inclusive Rolling Stone, aiming not for the middle-aged rockers who made up much of RS’s readership, but young ‘uns who could, theoretically at least, be their kids, though they were more apt to be their younger siblings. 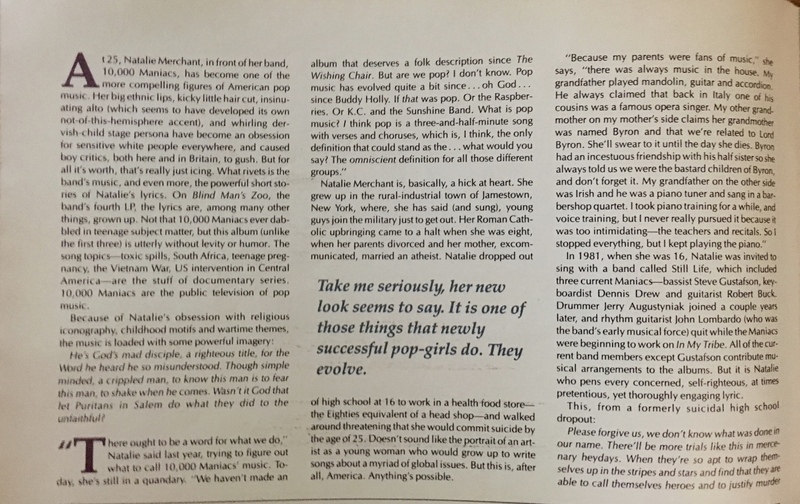 The focus was college rock (aka, alternative before alternative was thusly named), hip-hop and other newer acts usually ignored by staid Rolling Stone. 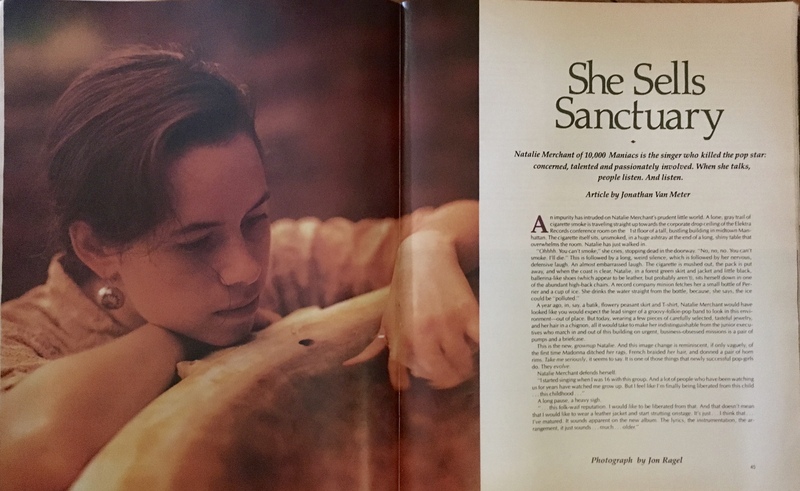 In that sense, it was a good magazine. And, yet, I had a love-hate relationship with it, much as I did (and still do) with Rolling Stone. Whereas RS was staid and predictable, Spin sometimes radiated a hipster mentality with all the negative connotations therein. As a result, I usually read it at the newsstand. 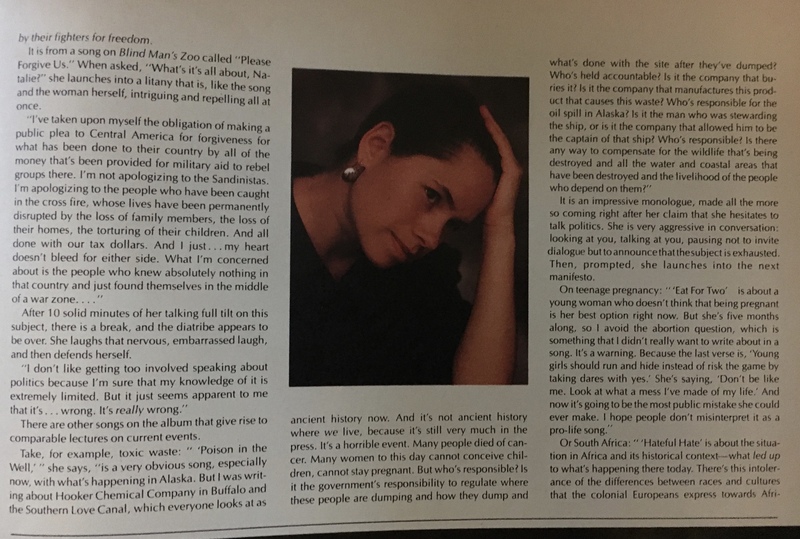 I brought this issue home, however, because of the cover story (by Jonathan Van Meter) on Natalie Merchant and 10,000 Maniacs, who’d just released Blind Man’s Zoo. 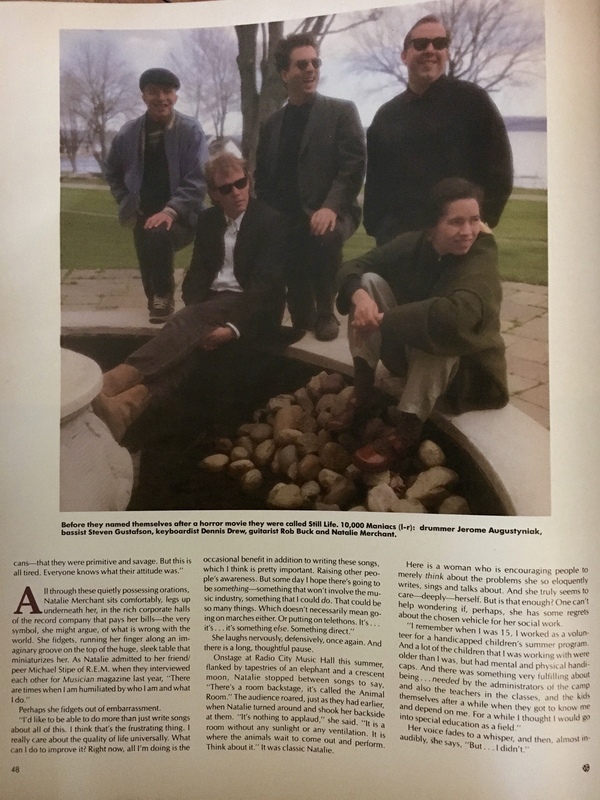 They were, as I’ve written before, one of my favorite groups.